All 31 art students painted, in turn, on the same large canvases to create a frosty winter, rainy spring, sunny summer and transforming leafy autumn scene. 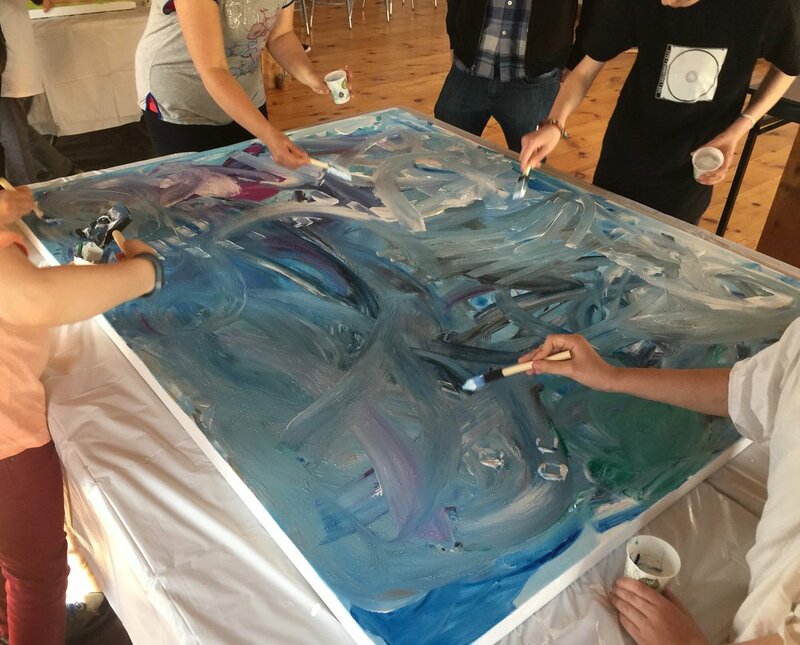 These abstract masterpieces were produced collaboratively, rapidly and expressively, following inspirational examples, which were also directed by musical cues. The set of 4 images refreshingly embodies, not only our changing environment, but also our students developing artistic skill.